Whether he is a dad by birth or adoption, Father’s Day is a time to celebrate him, what he’s given to your family, and the unique love he brings to the table every day. This day is also a great opportunity for you to send a special gift to your child’s birth father. Contact A Is 4 Adoption for more information and advice on how to go about this. Because we try to stay involved in both birth and adopting families’ lives, we offer a more comprehensive service and loving experience than other adoption agencies in California, and we are happy to help! The key to making Father’s Day one for the books is not to over-plan or over-stress Dad. He should feel free to relax and enjoy the day with his family, while also being able to do activities he loves. 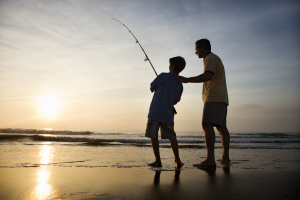 These are some tips to make him feel special this Father’s Day. It doesn’t have to be a perfect day. In fact, the more you stress about making everything just right, going from activity to activity, and making sure everything is in its place, the less Dad is enjoying himself. He wants to know there is no pressure to do chores, to rush, or to have a perfect day, and that includes relieving the pressure on you to make everything flawless. You and your children are his life. On Father’s Day, you are not only celebrating the person he is, you are celebrating his fatherhood, and the best way to do that is enjoying time together with your family. It can be so easy to get caught up in the details, but make sure you are taking time throughout the day to just sit and enjoy each other’s company. Before Sunday, take time to have your kids sit down and make a card or craft for Dad. 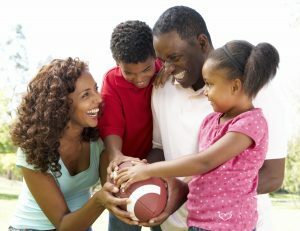 You can even prompt them with questions and write down the answers to give Dad a unique and memorable gift. 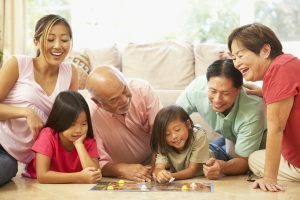 Ask your kids to think of their favorite memories with Dad, their favorite thing about him, what their favorite thing to do with him is, and why they love him. Don’t forget to give him a gift from you! Dad deserves to know how much you appreciate him and everything he does for your family. You don’t have to break the bank; he just wants to know how much you love him and need him. Whether your child is adopted or biological, their dad deserves to be appreciated. Show him you care by making this Father’s Day one to remember!